The most significant and extensive excavations of the Great Sphinx took place in the first half of the nineteenth century. This was an era before the use of photography in archaeology and there was rarely any systematic recording or preservation of what came out of the ground or was found in or among the ancient structures. Indeed, the early archaeologists and Egyptologists were often not averse to applying brute force in their attempts to penetrate the ancient secrets. Thus, to cite one of the most famous examples, Colonel Richard William Howard Vyse (1784-1865) used gunpowder within the Great Pyramid to blast passages into the so-called Relieving Chambers above the King’s Chamber. The Great Sphinx did not require quite so harsh an excavation, and exploration techniques were applied most likely because they were not suitable to the shifting sands that had over the millennia buried the statue. Blasting with gunpowder would not only have been inefficient, but counterproductive. The Great Sphinx and Giza Pyramids have attracted more than their fair share of odd thinkers over the centuries, and Caviglia was no exception. He was immersed in occultism, mysticism, and his own brand of religious fundamentalism and Old Testament literalism. Caviglia was certain that encoded in the antiquities of Egypt, and Giza in particular, lay many esoteric, religious, and scientific secrets--if only they could be interpreted correctly. His excavations and studies were not undertaken lightly as simply a hobby or a means to supply European museums with prize works of ancient art, but with the idea that the key to deep and profound knowledge would be discovered. Caviglia was the first person since ancient times to oversee a major clearance of the accumulated sand around the Great Sphinx. The French savants under Napoleon Bonaparte during his invasion of Egypt (1798-1799) had been aware that there was the body of a beast under the sand, as they cleared and studied the contours of the back, but they had not carried out full-scale excavations. The truth concerning the extent of any French excavations is unclear. Regarding a supposed door, it is possible that they did carry out excavations and came upon at least the upper portion of the granite “Dream Stela” of Tuthmosis IV (ca. 1400 BCE) that sits to this day between the paws of the Sphinx, and perhaps this was mistaken for a door. Caviglia began in early 1817 by excavating at the left (northern) shoulder of the Sphinx. His workmen were digging through loose sand and, according to Salt, more than half the sand removed each day would be blown back by the wind at night. Furthermore, despite utilizing a framework of planks to hold back the sand, the situation was incredibly perilous; one false move or accident could have resulted in someone being smothered to death in an avalanche of sand. Ultimately this first attempt at excavation had to be abandoned, but not before Caviglia’s laborers had reached the base of the Sphinx by creating a trench that measured twenty feet across the top but narrowed to a mere three feet at the bottom. Along the side of the trench a section of the body of the Sphinx was revealed, where they could make preliminary observations. The external surface of the body in this part was found to be composed of irregularly sized stones, built up with much care, and covered with red paint, with no very clear indications of form, but having three protruding ledges, one below the other, sufficiently broad for a man to walk upon, that formed in all probability the lines of the mantle, or dress . . . (Salt, in Usick and Manley 2007, 65). These irregularly sized stones and the ledges that were observed probably relate to the very ancient weathering and erosion to the body of the Sphinx that was subsequently repaired in later ancient times. There is evidence that at various times the Great Sphinx, either in its entirety or selected portions, was painted. Alternatively, some of the supposed “red paint” may also be natural mineral streaks, although in this case I suspect that Caviglia had found actual traces of red paint on various ancient repairs to the Sphinx. During the months of March through June of 1817 Caviglia employed sixty to a hundred laborers each day to undertake large-scale excavations of the paws and body of the Sphinx. These excavations result in a number of important discoveries. The first was fragments of a giant plaited beard that had once belonged to the Sphinx. Some of the stone fragments included plaited beard hair on one side, and on a side at right angles to the plaited hair occurred various carved hieroglyphics and kneeling human figures. Other fragments of the beard and supporting masonry were found, but whether the Sphinx originally had a beard and when the beard fragments found by Caviglia were put in place (could they be New Kingdom additions?) remain open questions. 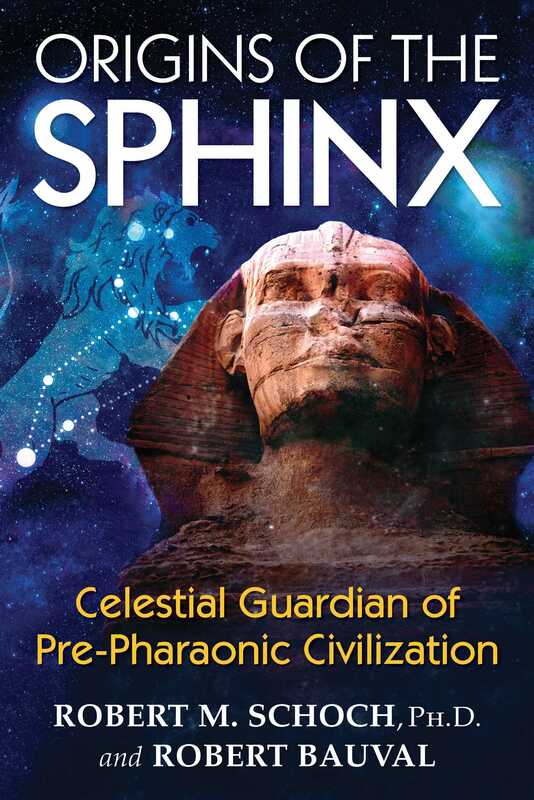 We must remember that the Sphinx has been heavily modified, reworked, and restored numerous times in its long history. Robert M. Schoch, Ph.D., a tenured faculty member at Boston University, earned his doctorate in geology and geophysics at Yale University in 1983. His books include Pyramid Quest, Voyages of the Pyramid Builders, Voices of the Rocks, Stratigraphy, Environmental Science, and The Parapsychology Revolution.